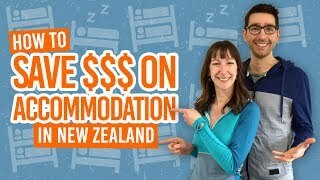 Where to stay in Whanganui on a budget? With epic beaches, museums, art, towers and on the banks of the majestic Whanganui River, Whanganui city is a must for any backpacker looking to get off the beaten track! To keep those travel costs low, we’ve put together this quick list of backpacker hostels in Whanganui. The awkward this is that there isn’t actually five hostels in Whanganui city. 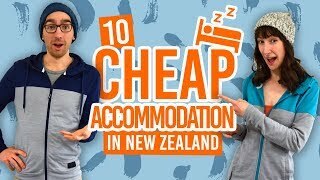 However, we’ve provided you with two other hostel alternatives so you know all your options in Whanganui when looking for budget accommodation! For more ways to keep the expenses low while visiting the city, check out these 10 Free or Cheap Things to Do in Wanganui! What’s more, see more ways to make the most of your stay in our Wanganui – Guide for Backpackers. With the cheapest dorm rates in town and homely atmosphere, 42B College House is well worth considering for your budget stay in Whanganui. Make use of the free unlimited WiFi, free off-street parking and even free bus pick-ups. There are several spacious lounge areas, as well as a barbecue and garden to relax in. 42B College House is within walking distance of the city centre and supermarkets. Plus, it’s a member of BBH so use your BBH discount! Check 42B College House out! Stay right beside the Whanganui River an just five minutes from Whanganui city centre in Tamara Lodge. The lodge with a spacious garden with hammocks also provides free unlimited WiFi and free bike hire! BBH members can make use of the BBH discount at this hostel. This YHA hostel is located on the banks of the Whanganui River and is well within walking distance from the city centre. Choose from bed & breakfast accommodation or hostel accommodation with mix of male dorms, female dorms and private rooms. It has all the essential facilities expected in a hostel including a kitchen, lounge and laundry. Free WiFi is also available for YHA members. 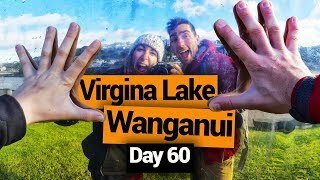 If you’re looking for an alternative backpacker accommodation in Whanganui then check out the Whanganui Riverside Top 10 Holiday Park. Like the name suggests, the holiday park is right on the banks of the Whanganui River. Cabins and glamping tents provide a cheap accommodation for couples and small groups, while still being able to make use of the communal facilities like the kitchen and laundry. There are powered sites for those travelling in a campervan, as well as tent sites and motel accommodation. Learn more about holiday park accommodation here. Check Whanganui Riverside Top 10 Holiday Park out! Another holiday park option in Whanganui is the Whanganui Seaside Holiday Park. Situated adjacent to Castlecliff Beach, this holiday park is a great out-of-town alternative. The private cabin accommodations makes for extremely affordable accommodation for backpackers, while having all the essential communal facilities that you’ll need. Not to mention the powered sites, tent sites, free WiFi, spa, sauna and barbecue area. 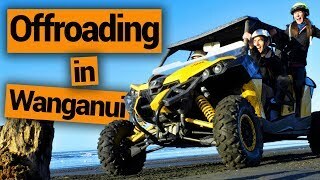 Check Whanganui Seaside Holiday Park out!